USA and Norway. Relations between two countries. Conceptual image. 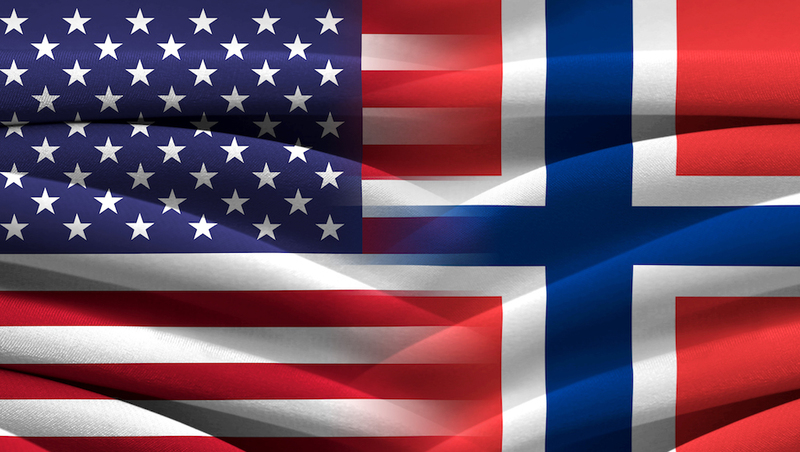 A project aimed to strengthen long-term collaboration between Norwegian and Texan institutions within data science. This is a collaboration project initiated by IRIS, University of Agder, GCE NODE, Rice University and University of Texas Austin. The project is financing several activities to stimulate and promote research collaboration between Norwegian and US partners, not limited to the mentioned partners, but will include other academic institutions or industrial companies relevant for the proposed Data Science Cluster. 5G, blockchain, data analytics and interoperability were among the topics at this year’s NorTex OTC Digitalization Workshop in Houston. A data integration workshop in Stavanger, on the final day of ONS, was also the final workshop of the NorTex Data Science Cluster project. “Smart contracts and blockchain technology can enable trust and multi-level data sharing”, says professor at University of Stavanger. “A closer relationship with Austin will strengthen the entire Agder ecosystem for research, development and innovation,” says Anne-Grete Ellingsen, CEO of GCE NODE. Competence and technology from the oil and gas sector could improve medical procedures.